Our professional staff cares for your pets like family. Mary is the General Manager of Oak Harbor Pet Haven. Even though she does not work "hands on" with the animals, she loves assisting the staff and clients whenever they need a hand. Mary lives in Oak Harbor with her husband, John, bearded collie, Oliver, and two cats, Thor and Oscar. In her free time, she likes working in the yard or spending time with her family. 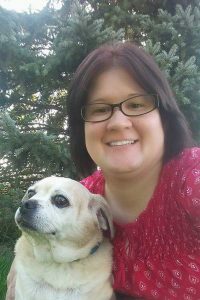 Samantha has been Building Manager with Pet Haven since 2005. She attended Ohio State ATI. She enjoys working with clients, making appointments, and greeting you and your pets when you enter the building. 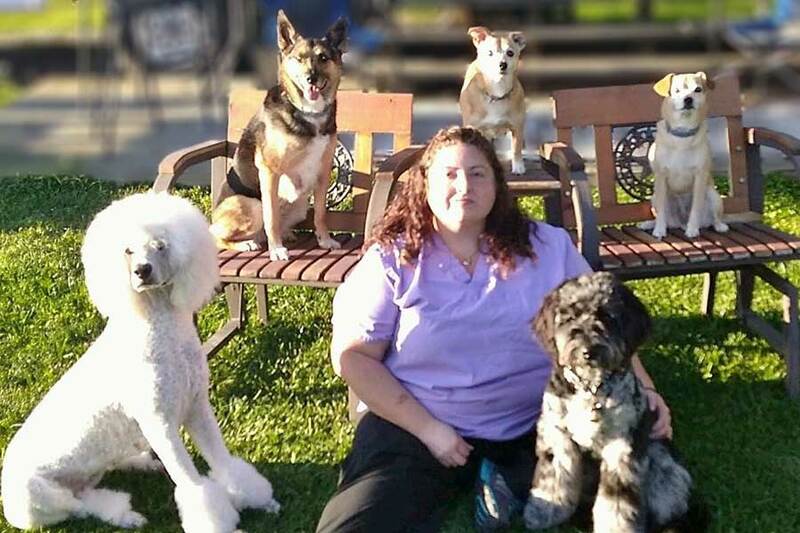 Samantha resides in Oak Harbor with her husband and her five dogs: Splash, Blew, Roxanne, Tosha Marie, Minnie Mouse. They love traveling with the dogs on vacations and day trips. Melissa has been with Pet Haven since 2007. She attended the Penta Career Center, taking courses in small animal care. She loves grooming client’s dogs. Melissa resides in Lacarne with her husband, two children and two dogs, Ruger and Balder. Viktoriia came to work at Pet Haven May 2018. 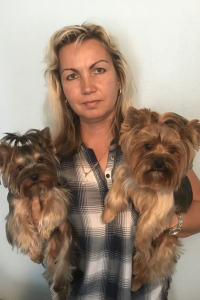 Viktoriia trained at Kyiv Academy of Grooming in the Ukraine in 2015, she also graduated from Diamond Cut Dog Grooming School in Medina, Oh in 2017. Viktoriia lives in Port Clinton with her husband, daughter and 4 Yorkies. Brooke started at Pet Haven March 2018. She enjoys being with the pets while being on Kennel duty, but also enjoys taking care of the customers at the desk. 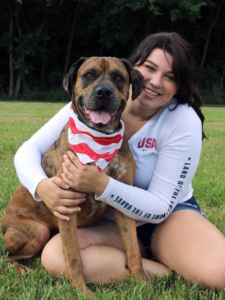 She is currently enrolled in the veterinary technician program at Stautzenberger College. She resides in Oak Harbor with family which includes her 3 dogs Bella, Ember and Flower. 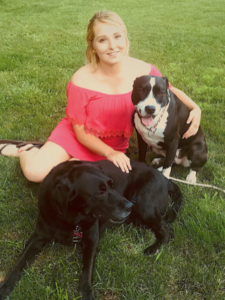 Alexandria Eck has been with Pet Haven since May of 2016. She is a senior at Genoa High School. Alexandria lives in Genoa with her family, and dogs, Bella and Bayleigh Rae. They also have 2 goats, 2 horses, as well as chickens and ducks. 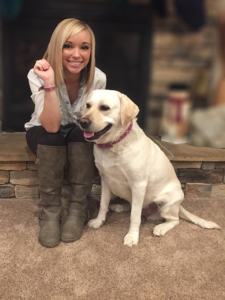 Julie recently started working at Pet Haven, realizing her dream of working with animals. 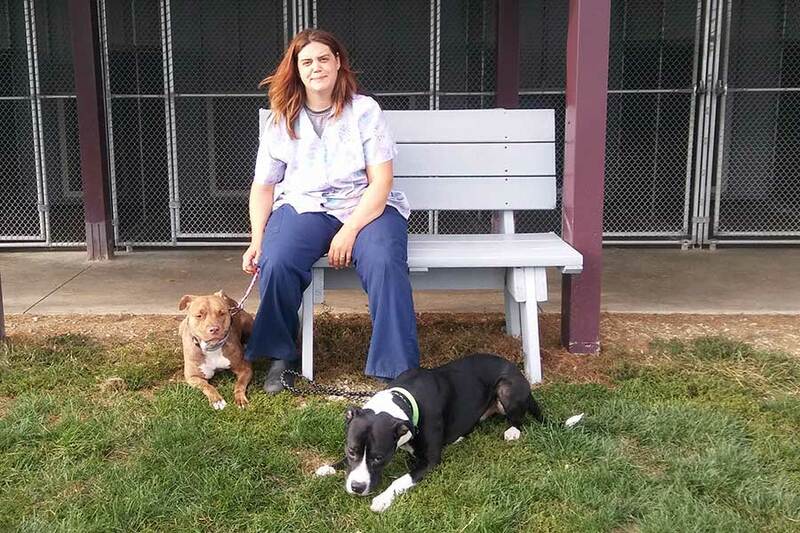 Julie works mainly in the kennel where she enjoys taking care of your pets. Julie lives in Oak Harbor. She has two dogs, Duncan and Tessa. 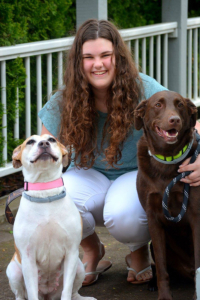 Camryn began working for Pet Haven Nov 2018. She attends Gibsonburg High School where she is involved with volleyball, track, flags, choir and drama club. Camryn is enrolling in the army reserves after high school and will be attending college to pursue a career in the animal field. She has two dogs Chance a german shepherd and Koda the boxer. Camryn also has four guiena pigs named Boomer, Harley, Buster and Chester. She lives with her family in Gibsonburg. McKayla started at Pet Haven Nov 2018 . She splits her time between the kennel and reception. She also is enrolled in the veterinary technician program at Stautzenberger College. She resides with her family in Fremont where she lives with her 4 dogs Jersey, Jessie, Jada and Cole. She also has two cats Roscoe and Hercules. 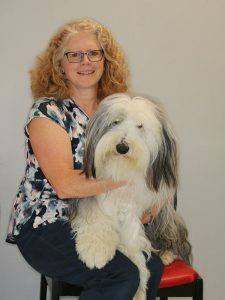 Megan started at Pet Haven May 2018. 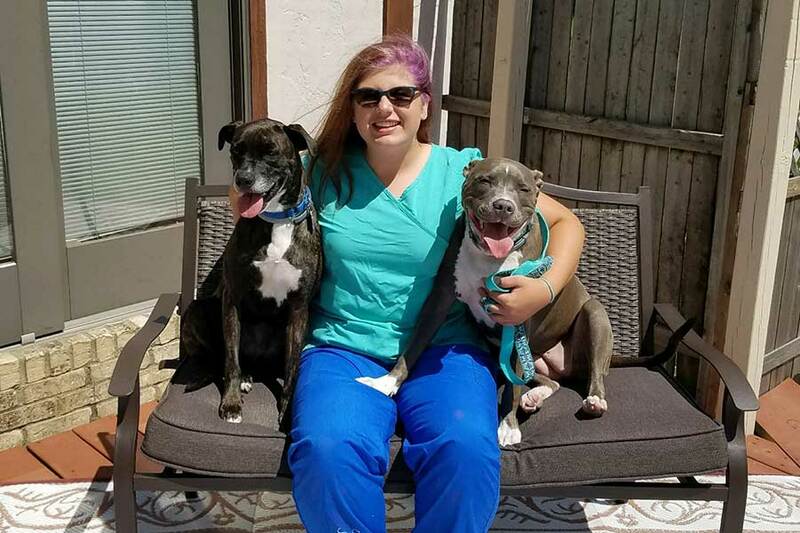 She splits her time between reception at Oak Harbor Pet Haven and veterinary assistant duties at Oak Harbor Veterinary Hospital while she is enrolled the veterinary technician program at Stautzenberger College. She resides in Fremont with family which includes her 2 dogs Molly and Nina. 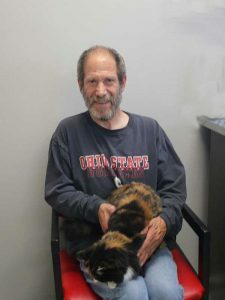 Rodney has been with the Oak Harbor Pet Haven since 2002. He does a great job of keeping the place clean. He has a great love for animals and always has a smile on his face. Rodney resides in Port Clinton. © 2019 - Oak Harbor Pet Haven · Website by Sagemont Inc.